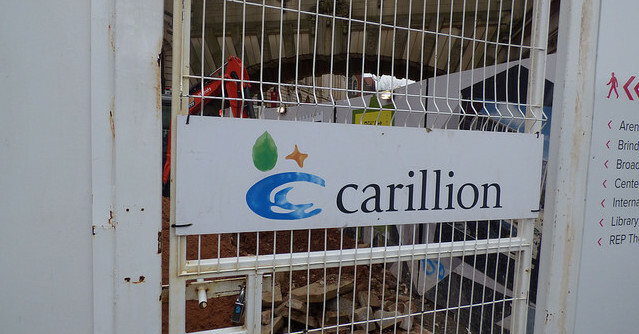 The collapse of Carillion, a global privatization corporation, illustrates the risky nature of public-private partnerships (P3s) and contracting out. Carillion is involved in 10 P3s across Canada, primarily in hospitals in Ontario, Saskatchewan and the Northwest Territories. Two hospitals are still in development. It is unclear how Carillion’s equity stakes and facilities management contracts in many Canadian P3s, as well as the contracted-out services they provide, will be dealt with as part of the company’s asset liquidation. CUPE believes the infrastructure and services in which Carillion plays a role should be brought back under public control – all public infrastructure should be publicly financed, owned, maintained and operated. The UK government has committed to provide funding to maintain public services carried out by Carillion staff, subcontractors and suppliers. The company’s 6,000 workers in Canada should have their work contracted in, with good wages and working conditions. Carillion was the lead company in the consortium that built the P3 Brampton Civic Hospital, a project the Ontario Auditor General found to have cost $200 million more than if the province had borrowed to build it publicly. A more recent auditor’s report found that 74 P3 projects cost the province $8 billion more than if they had been procured publicly. Just last December, a damning 2017 Ontario Auditor General report showed that hospitals are being gouged by P3 contractors for maintenance work not covered under the original P3 contract. Several hospitals are in long-term disputes with P3 maintenance companies over these contracts which often last for 30 years. The report does not name individual corporations. This problem is not limited to Ontario. The Saskatchewan NDP has shown that Carillion and another corporation were scheduled to get paid $185 million over a 30-year contract for maintenance of a P3 hospital in North Battleford, Saskatchewan – more than $6 million per year for a brand new facility. As a comparison, the former Prairie North Health Region spent $3.1 million on repairs and maintenance at all hospitals and facilities. In 2016, the authority responsible for Halton, Ontario health care issued a notice about door failures, flooding and slow service provider response and rectification times at the recently-built Oakville Trafalgar Memorial Hospital. The facilities management contract at the time was held by Carillion. Subsequently Carillion sold its equity stake and facilities management rights to Fengate, another privatization corporation. The company has also faced an investigation by the Ontario government over its salting of highways. Carillion is responsible for eight highway winter maintenance contracts in the province in addition to contracted-out highway maintenance in Alberta. P3s put public services at risk due to the unpredictable and volatile operations of corporations. Ownership stakes in P3s can change hands resulting in a rotating door of corporate involvement that destabilizes public services. In this case, Carillion is going under and its equity stakes and facilities maintenance contracts will likely be auctioned off. In Canada, over 20 equity sales of P3s have taken place with at least seven ending up owned by corporations in tax havens. In one case, equity in the Vancouver General Hospital Diamond Centre P3 hospital has changed hands twice since 2007 and is now owned by an investment company located in Guernsey, a tax haven depriving the BC government of needed tax revenue. Each time these equity stakes change hands, big profit is made from our public infrastructure. Research in Europe showed the average annual rate of return on P3 equity sales from 1998-2016 was a staggering 28.7 per cent. It’s clear who has the losing hand in this P3 equity poker game: the public.